And out of Dubai we go. About 2,600 miles. To my homeland, cradle of the Galanda Group, a Slovak modern art movement founded in the 1950’s by nine artists, after graduating from the Academy of Visual Arts in Bratislava. Named after another modern artist influential a few decades earlier, this creatively free movement gave the socialist regime a slap with their first show in 1957. At the time, the socialist ideology, deeply rooted into conservatism, felt threatened by any apparent sign of progress, particularly when it came to thinking and creating freely. 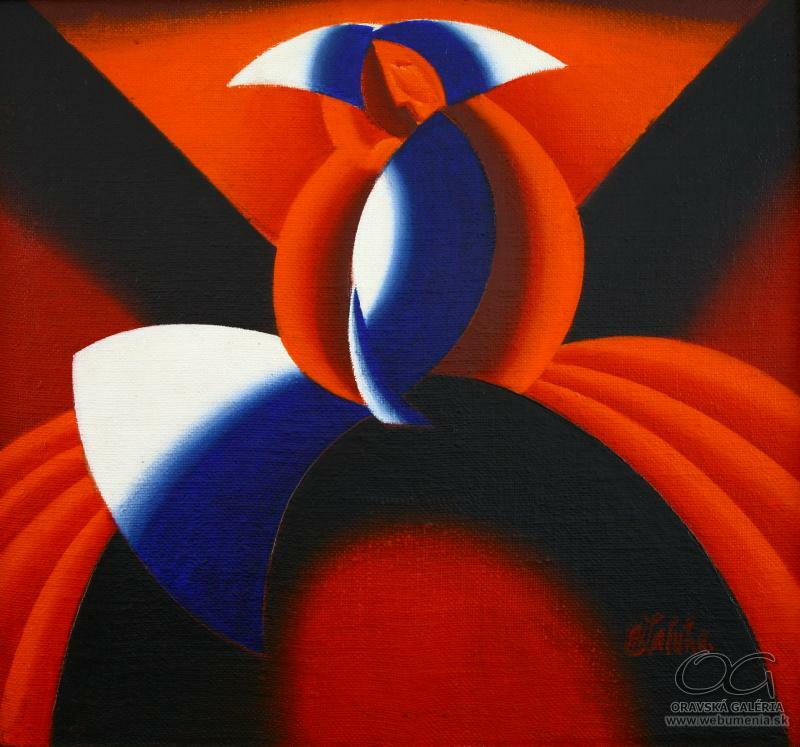 While ninety percent of established artists dully implemented the regime’s creative directives, the Galanda group chose to explode in colors, from figurative to abstract, with inspirations of cubism and surrealism. The audacity survived for the next eleven years. 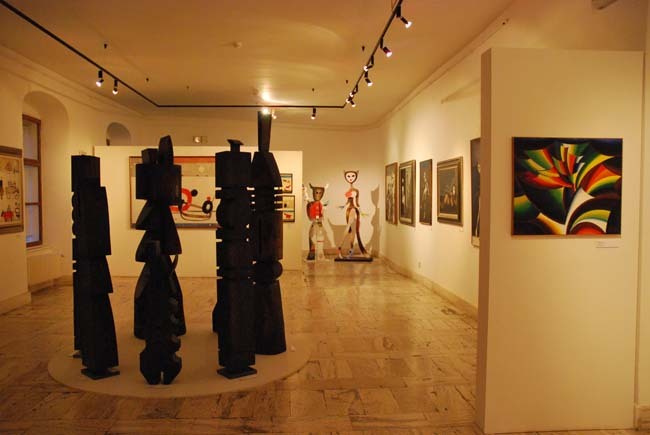 After 1968, all nine were progressively banned from the Slovak Association of Visual Artists, their creative works being defined as offensive to the working class. With the opening of Czechoslovak borders, the group gained international exposure and true recognition, exhibiting around the world. In 1969, founding member Milan Laluha received the prestigious O. Licini award at the XXXIII Venice Biennale. Inspired by local traditions and influenced by cubism, Laluha used primary colors to depict landscapes of his hometown, rural life scenes, working men and women. “I don’t paint, I reduce. I use four-five colors to create a painting. The black and white don’t count as colours, they are the light and shadow”, he described his favorite technique. 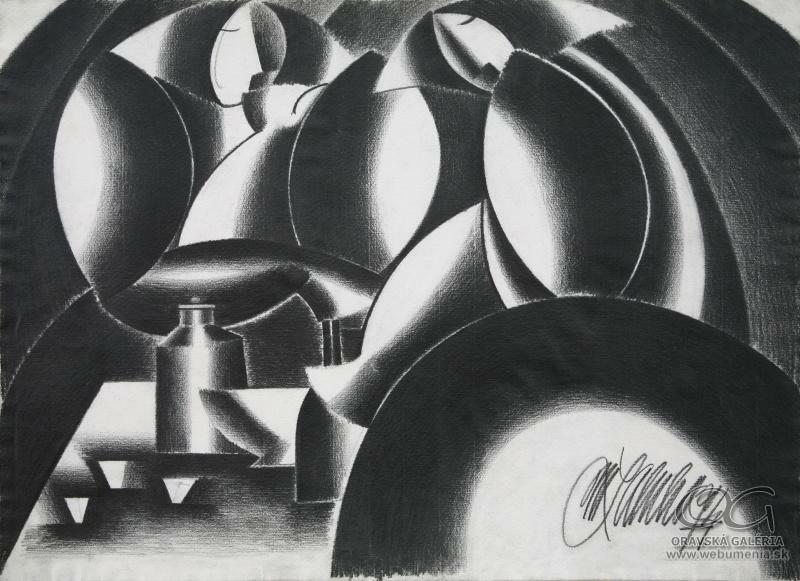 Balancing between abstract and concrete, his geometrical motives and architectural decompositions gave life to a unique and recognizable style, allying modern art and iconography. In his last show, I discovered a motive, a body of work comprised of 130 pieces shows a lifetime of creativity, depicting a land he cherished, and that became the center of his existence. Laluha passed away on 10 November 2013; a day before his last show ended; a day before his 83rd birthday. More than his iconic style, he left behind the idea of artistic persistence in times of adversity and oppression, quietly protesting with his own perception of reality.